A man who live-streamed footage of a fake bomb and the sound of a timer has been given a suspended jail sentence. Fahid Arshad, 23, caused "fear and alarm" when he broadcast the apparent homemade explosive on the Periscope app. The video was reported to counter-terror police when it was streamed in September 2017. 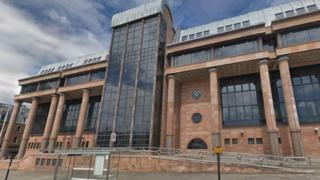 Arshad, of Heatherslaw Road, Fenham, admitted one bomb hoax charge at Newcastle Crown Court. His video also featured commentary referencing previous terrorist attacks in the UK and abroad, police said. Det Ch Supt Martin Snowden, head of the North East counter terrorism unit, said: "Arshad created, uploaded and shared a video online showing what he knew to be a non-viable explosive device, suggesting its potential to cause harm, knowing he was deliberately misleading anyone who saw it. "The purpose of his actions was to cause fear and alarm. "Whilst the device was not viable and no target was identified, the threat and fear that he intended to cause was very real with the potential for significant disruption and panic." His sentenced was suspended for two years and he was also ordered to complete 180 hours of unpaid work.